Marine scientists in Quebec are raising alarms that TransCanada Corp.’s proposed Energy East pipeline project will threaten falling beluga populations in the St. Lawrence River. TransCanada is conducting seismic activity near Cacouna, Que., on the south shore of the St. Lawrence River across from the mouth of the Saguenay River. 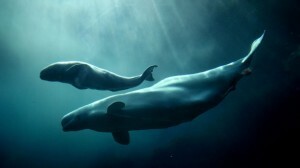 Belugas are believed to calve in the Cacouna area in the late spring and early summer.